en-year-old Adis and his then six-year-old -brother, Azedin, were separated from their father as the boys and their mother endured six terrifying months in a concentration camp in Bosnia. The trio miraculously escaped flying bullets, falling mortars, and exploding grenades while desperately running through a forest in hiding. When the broken family finally arrived in Slovenia as refugees, they heard no word on the condition of their father, of his whereabouts, or if he was even alive. And they didn’t for the next two years. One morning in 1994, he unexpectedly appeared at their refugee camp as his heartsick family blinked at him beyond disbelief. After their emotional reunion, returning to Bosnia was clearly not an option. They sought help from and were reunited with a relative who settled in the upper northwest of the U.S. just the year before after also fleeing from their war-stricken country. The traumatic experiences would be enough to last a lifetime, but sadly, Adis was forced to contend for his life once more. 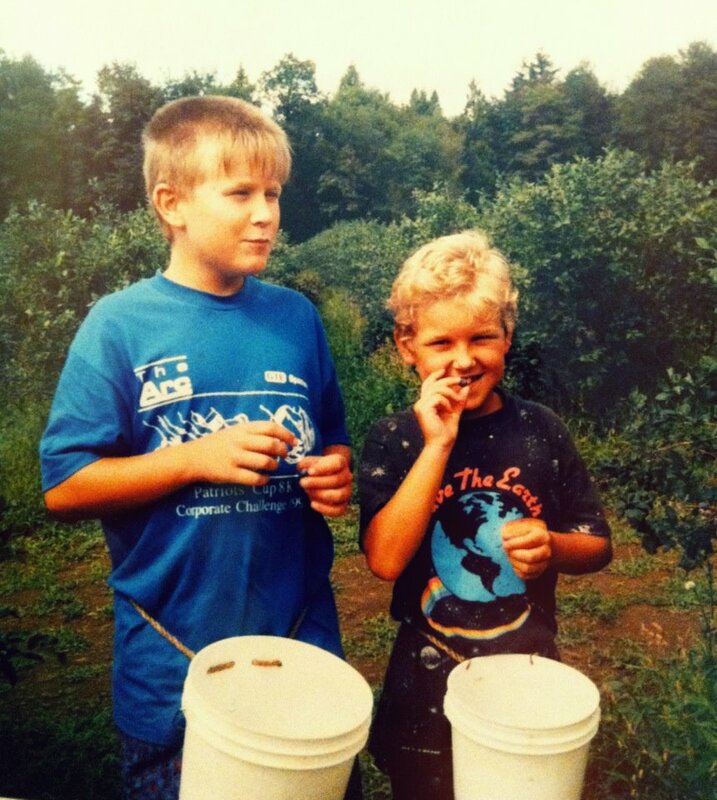 The boys enjoy picking berries at a blueberry farm after moving to the United States. (Photo courtesy of Azedin). Ten years later, Adis and his young wife returned to their home in the northwest after vacationing together on the East Coast. He noticed a small rash with little red speckles on both of his cheeks. After the dermatologist examined the area of interest, Adis was told it was a possible outbreak of a skin condition called rosacea. Rosacea seemed innocuous at first even when he learned that his blood test results were slightly irregular. Lab tests revealed proteins not normally found in urine samples; however, because the figures were still within normal range, the new developments did not seem critical – at least not yet. The first three years were calm with the rash being the main sign of any possible health issue, but another dip in Adis’s health put him on a winding downward path. Eventually, doctors discovered that Adis’s immune system was damaging his kidneys. Lymphocytes, or white blood cells, normally circulate through the bloodstream searching for foreign contaminants that help fight against illnesses, for example, the common cold or flu. Instead, his body determined his kidneys were a foreign substance. The lymphocytes erroneously attached themselves to his kidneys, aggravating them and hindering them from functioning properly. While this battle was occurring in his body, signs and symptoms were not yet manifested outwardly. “I was feeling fine and I would be feeling fine until my kidneys got to a point where I didn’t feel fine anymore. By then, it was almost too late,” he says. After probing into his health more closely, doctors performed two biopsies: they took a sample of his skin and one from his kidney. Based on the activity present in his body and the findings from the biopsies, medical professionals established he had signs consistent with those of lupus patients and diagnosed him with systemic lupus erythematosus (SLE). The kidney biopsy revealed his kidneys were only 45% functional. While the doctors advised he may need to undergo dialysis should his kidneys continue to deteriorate, Adis was somewhat in denial while clinging to the hope that his health would improve before it got worse. Up until that point, Adis had been drinking herbal teas and utilizing natural anti-inflammatory medicines. But as his health waned, he was prescribed a variety of different medicines in an attempt to keep his body in balance. His kidney function continued to lessen, down to 35% and then 30%. He rapidly began to show signs of disease and began to experience symptoms. His body retained water to the point of pitting. (With his finger he would press on his skin and a temporary impression remained after removing his finger from its surface). He frequently felt hunger pains knowing if he consumed any amount of food, it would be just like feeding poison to his body. The bathroom was his loyal companion as he was constantly nauseous, sometimes vomiting ten times a day, if not more. 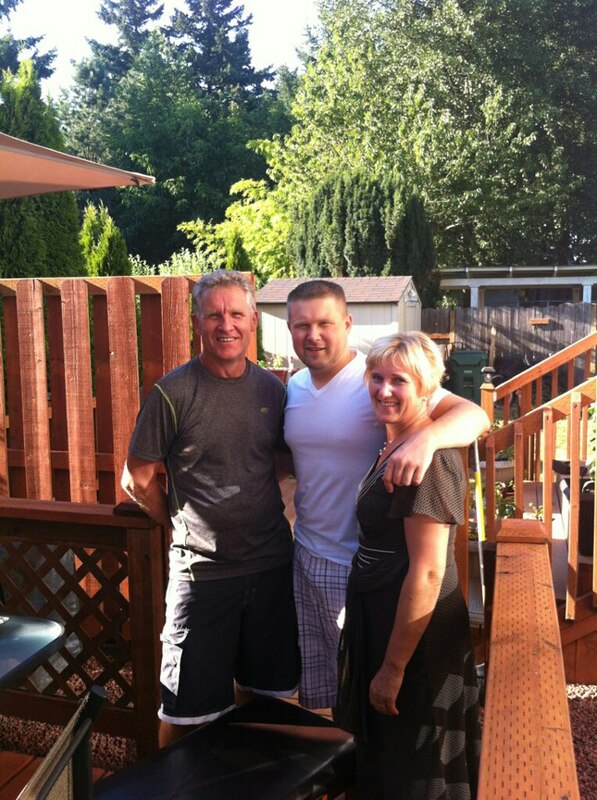 Adis hugging his parents at a summer BBQ, 2012. The medicine eventually was of no use. Adis was not improving and options were few. Doctors recommended a chemotherapy treatment on a monthly basis for six months in 2011. The treatment would circulate through the kidneys and “burn off all the white cells that are on the kidneys to relieve them” of the constant stress. Then they would be able to operate to some degree without the lymphocytes hoarding the kidneys. Since the lymphocytes were very aggressive, they scarred the kidney tissue, essentially drying out the areas affected (similar to the likes of a prune), hindering filtration and normal function. Adis’s condition improved during the course of the treatment, but after six months of chemotherapy, lupus was very active in his system again. He was unable to take medicine or treat his symptoms after completing chemotherapy so that his body would have time to recover. With decreased kidney function, he had changes in urination, an alkaline or metallic taste in his mouth, ammonia breath, chills, shortness of breath, intense cramps, trouble focusing, and extreme fatigue. Edema worsened and frequent vomiting was brutal. He consistently felt tired and even though he slept very long hours at night, he would wake up as if he had never slept at all. Through it all, his daily routine didn’t miss a beat. Though on light duty, Adis continued overseeing a port management company he worked for full time while keeping all of his medical appointments. He was also the president of a Bosnian non-profit organization in his community and was dedicated to serving them unwaveringly. His faith in God grounded his emotions. Laughter and a positive mindset helped him look beyond his circumstances. He maintained his active lifestyle playing sports, meeting with friends, joining them on spontaneous trips, and riding his motorcycle. Riding his motorcycle helped him forget about everything and cleared his mind. “I basically did not let lupus stop me from doing anything. I just kept going to keep my mind from thinking about how sick I was.” Adis kept moving and kept smiling. 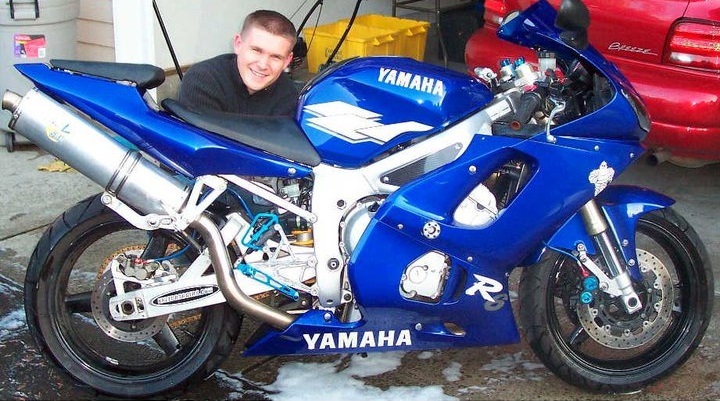 Adis pictured with one of his first bikes, 2003. A second biopsy of his kidney was later completed showing his kidney function had drastically decreased to 15% – both kidneys were equally affected and his body was in serious distress. Dialysis was his last resort or he would surely die. Without his kidneys normally filtering his blood of the daily toxins, Adis’s potassium levels would increase to dangerous levels. It was only a matter of time before he would go into cardiac arrest. He remembers times when he would be contacted at home by a nurse and notified to report to the nearest emergency room immediately because his potassium levels were dangerously high. His body was no match for the complications the doctors now referred to as lupus nephritis. Finally, Adis had had enough. His symptoms had become very unbearable and had no other choice but to agree to dialysis. Once he started dialysis in early 2013, he was placed on the national waiting list in hopes of receiving a kidney from an anonymous donor. This entry was posted on March 13, 2014, 1:31 pm and is filed under MARCH 2014. You can follow any responses to this entry through RSS 2.0. You can leave a response, or trackback from your own site.